Uber—despite ignoring and dismissing literally thousands of complaints from customers and drivers regarding sexual assault within Uber vehicles over the past three years—would like us women to know that they’ve got our backs. Hey, thanks, Uber. At Uber, we’ve seen that amazing things can happen when women take the wheel. And where they cannot, we’ve seen great things too. In Saudi Arabia where women are not allowed to drive, 80 percent of our riders are female. In fact, last December women took free Uber rides to the first election they ever had the freedom to vote in. Today we wanted to celebrate International Women’s day by thanking the women who help hundreds of thousands of riders get from A to B every day. Around 20 million Americans work fewer hours than they would like for “non-economic reasons,” according to the Bureau of Labor Statistics. These include personal commitments, in particular child care, that can make full-time jobs so difficult. And two-thirds of the people who are underemployed in Europe—that’s 6.5 million people—are women. It’s one of the reasons Uber last year announced a commitment to get one 1 million women drivers using our app by 2020. Because driving a car isn’t just a way to get to work—it can be the work. For women around the world, Uber offers something unique: work on demand, whenever you want it. Drivers can make money on their own terms and set their own schedules. 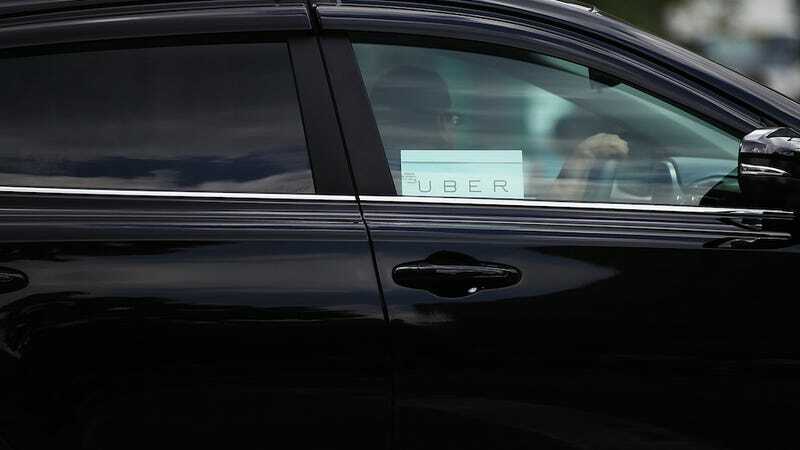 Never mind that for Uber drivers to get decent health benefits, disability, and (most importantly to many female drivers) parental leave, they either have to pay out of pocket, sue the company to be considered an employee and not an independent contractor, or (as Uber previously threatened) give up the freedoms that, according to Mattson, make the job ideal for women. Ooh, a nice lil threat to keep their drivers as powerless as possible. If that’s not girl power, I don’t know what is.